When working on a construction job, from louvers to an all-new building, make sure you’re on the same page as your contractor or builder. There’s no shame in asking questions when working with a construction company or contractor. In fact, many of them would rather you ask the right questions from the get-go and make sure the job is completed to your specifications, rather than having to make costly changes later on or leaving you unsatisfied. 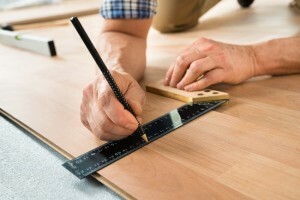 That’s why we’ve compiled a list of some basic questions to ask before you begin a construction job to ensure that it gets done the way you want—whether you’re installing new louvers or building a completely new building, these tips apply. There’s nothing wrong with working with a company that’s trying to get their start in the industry, but if you need a job done quickly and properly with little oversight on your end, it’s best to work with an established business who really knows what they’re doing. Even if they’re a new business owner, find out how many years of experience they have within their industry, as that can be a huge indicator in how the quality of work will turn out. Every locality, from cities to states to counties even, will have different requirements for a building job. There are all kinds of credentials out there and while you don’t need to be familiar with each, the company you hire should know what they need and be able to adequately explain what certifications they have. Remember, you’re paying for an expert, so make sure you get one. You may need your job done in a rush or you might not mind waiting a bit, but either way, you want to know from the start how long you can expect the job to take. Ask if they have any other ongoing projects that could impact their schedule and if there are any possible changes in the schedule, what will be done to ensure your job is finished in a timely manner. A reputable company won’t ask for you to pay for the full job upfront, nor should you offer to. Either way, you do want to discuss payment options beforehand. Figure out what the deposit will look like and when the rest of the money is due, whether that’s by specific dates or determined by how much of the project is completed at what time. This entry was posted on Friday, August 3rd, 2018	at 11:53 am	. You can follow any responses to this entry through the RSS 2.0 feed. Both comments and pings are currently closed.